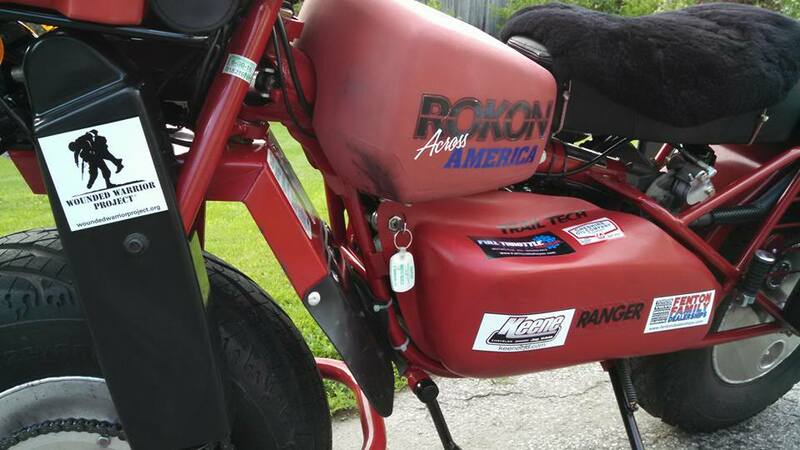 ROKON is one of the last motorcycle manufacturers in America. 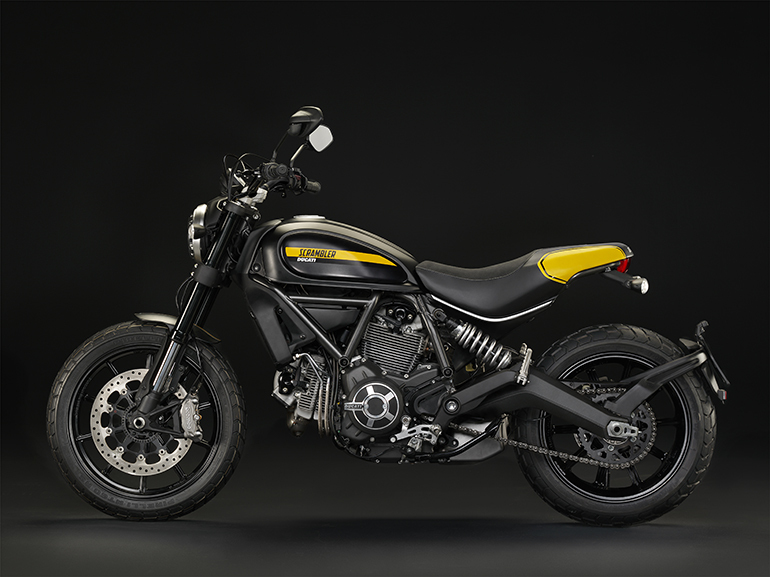 They build a lightweight, two-wheel drive motorcycle at their facility in Rochester, New Hampshire that has a top speed of about 35-mph. 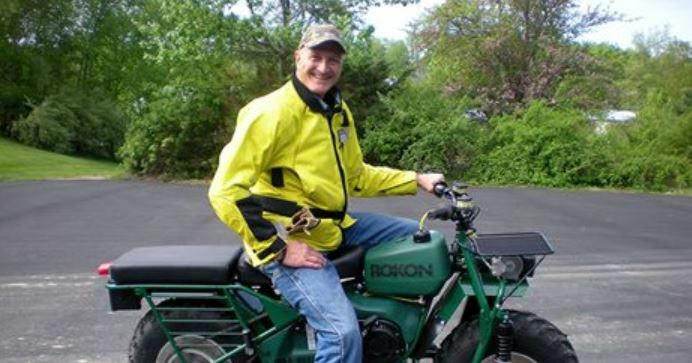 Randy Tefft is riding one from Portsmouth, New Hampshire to Malibu, California to benefit the Wounded Warrior Project. Tefft is no stranger to motorcycles. His uncle was Freddie Marsh, a Motocycle Hall of Fame inductee, who raced motorcycles in seven decades, and ran a Moto Guzzi dealership in Connecticut for years. Tefft leaves on his journey tomorrow, July 1, 2015. He’s riding a ROKON Ranger two-wheel drive motorcycle. 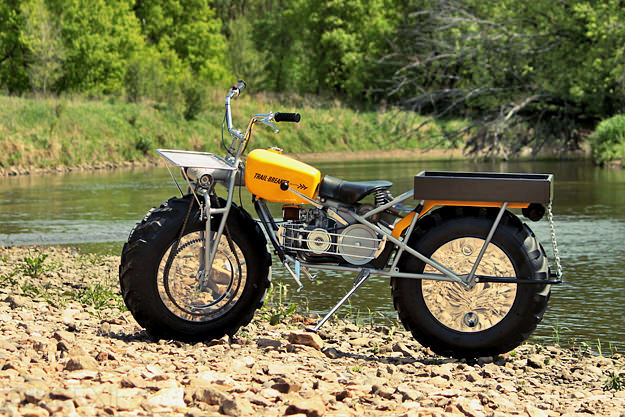 ROKON has been building motorcycles since the 1960s. The innovative two-wheel drive design for the original Trailbreaker model originated in California, but the bikes were eventually manufactured by the enterprising Orla Larsen, at a facility in Wilmington, Vermont in the late 1960s. 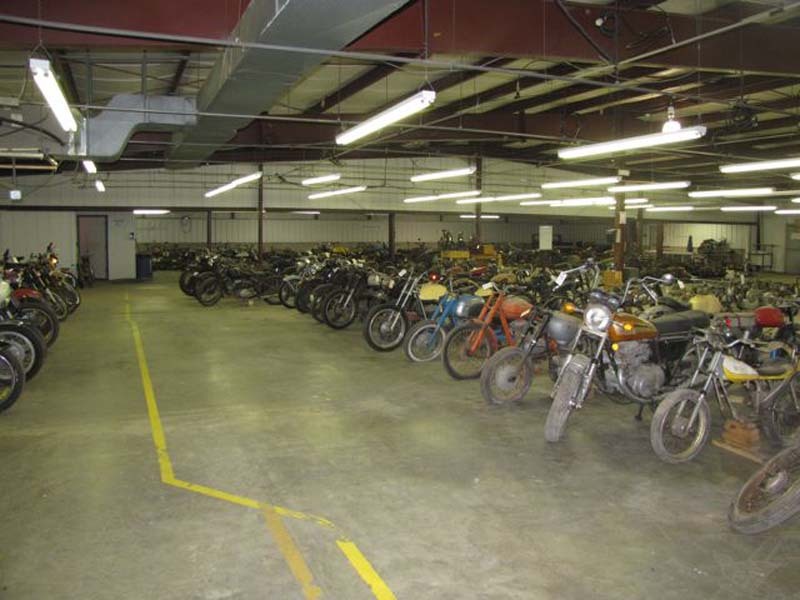 Larsen saw some success as a motorcycle builder, but the company eventually went into receivership. 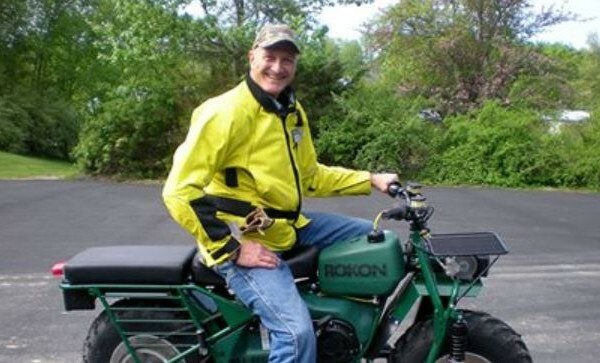 In the 1990s, Tom Blais purchased the company and the design, and began building ROKON Rangers — an updated version of the Trailbreaker design — in a facility in Portsmouth, then Rochester, New Hampshire. The company donated the bike to Tefft for this ride, and specially equipped it to get him across the country. At the end of the journey, on July 25, Tefft is auctioning the ROKON at the famous motorcycle destination The Rock Store in Cornell, Calif. All proceeds from the auction will go to the Wounded Warrior Project, which seeks to raise awareness and enlist the public’s aid for the needs of injured service members. 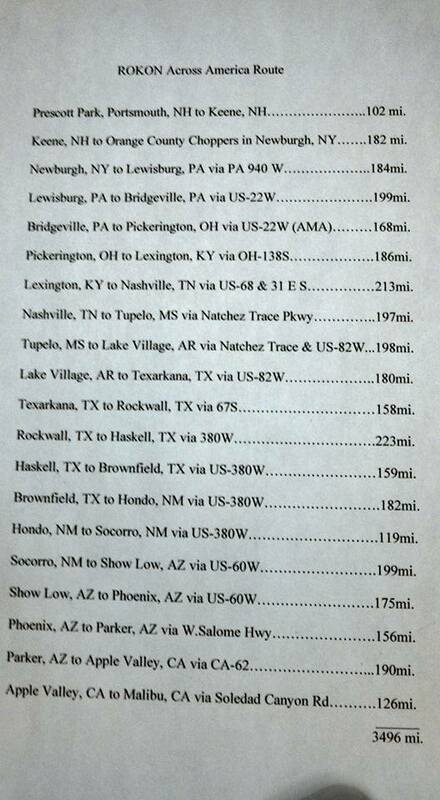 The route for Tefft’s ride is posted on the ROKON Across America Facebook page, where Tefft will post reports from his ride. Tefft is also accepting donations through a page on the Wounded Warriors Project website. 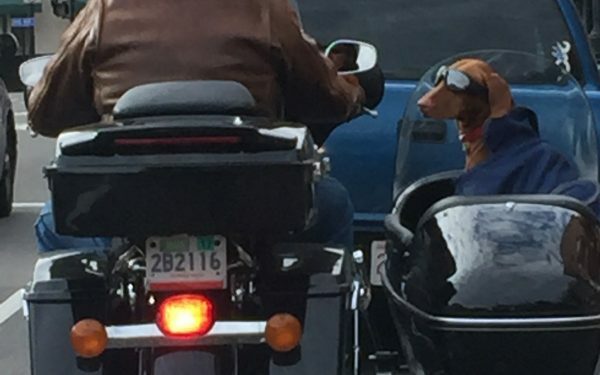 You can support the ride there. “Hopefully, someone with a soft spot in their heart and a big wallet will end up with this ‘history making’ Rokon,” Tefft told the American Motorcycle Association. Why Do We Love Sidecars So Much?